With the tip replacement tool in one hand, and the pen in another, bring the tool over the tip of the pen. Pinch the tool closed around the tip, and slowly pull the tip out of the body of the pen. To place a new tip, use the tip replacement tool to remove a tip from the packaging, with the pointed end of the tip pinched in the tool, slide the new tip into the pen until the neck of the tip is not visible. RECOMMENDED: Keep the unused tips in the foam portion of the package. : Unscrew the top of the pen by turning it counter-clockwise. Insert one battery, positive side down, into the battery compartment. Replace the pen top by screwing back on, clockwise. 1.The pen only works with surface pro 3 and surface pro 4 Windows INK with MPP protocol. 2.1024 Levels of pressure for high-fidelity writing: Pen responds to the pressure of your hand precisely. 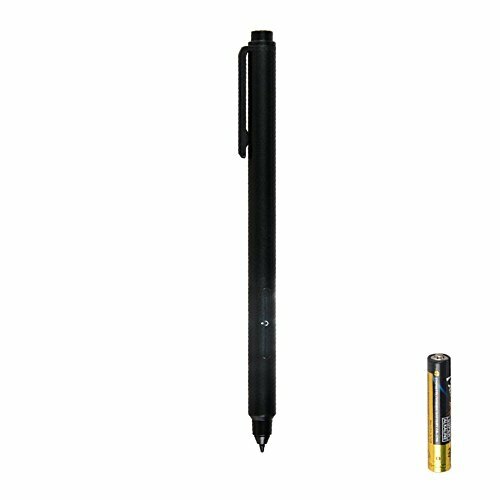 Sketch, write, and erase naturally with no perceptible lag between the Pen tip and your line - just like you would on a sheet of paper. 3.Erase and right-click button built in pen, please keeping press the Erase button when you need use it. 4.The pen comes with 2 types of Tips, Soft and Hard. Soft tip suit for no screen without protector, Hard tip suit for screen with protector, They can be removed and replaced by using the included Tip Replacement Tool. 5.12 Months Warranty by TFIVE.Once you buy our product, you can get our 1 year warranty. Any questions please do not histate to contact us by email:(tefive@foxmail.com ),We will try our best to solve problem for you. If you have any questions about this product by TFIVE, contact us by completing and submitting the form below. If you are looking for a specif part number, please include it with your message.